As I've promised for some time now, we are continuing in our quest to make Eye Witness available to more readers in more reading formats. 1. All four books in the award-winning Eye Witness series are now available for viewing/reading/downloading for virtually any electronic device you can mention (from your PC to iPad to smart phone) through through the Graphicly.com website! They have really gone the extra mile with the bells and whistles their site offers indy publishers. With Eye Witness, each book has 4 pages of previously unpublished content I've put together, that's sort of a "behind the scenes look at the making of the series." In addition, they offer a FREE preview copy of each book in the series! 2. At long last the revised edition of Eye Witness Book One is available for purchase as a hard copy! Drivethrucomics, (who have previously offered books 1 and 2 as digital downloads), have now made available a POD (print on demand) version of the revised edition of the first book in the series. Prior to this, the only way you could read this version was in digital format, but I know there are comic and graphic novel collectors out there that still love the hard copies. For those of you who are wondering what is different between this edition and the original....well, I went back and remastered the colors on the entire work to better reflect the improved production the series had starting with book two. In addition, I repaired the editing mis-steps we had made rushing the first book to press without adequate editing (lesson learned) and finally I added some content to make it flow better into the later books (since when I wrote the original manuscript, it was only going to be a one and done). There will be more to announce soon, so stay tuned! 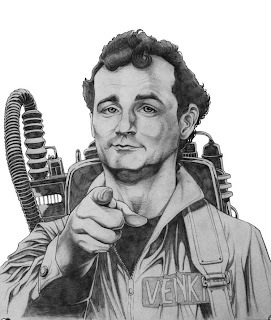 The illustration of Bill Murray, which was refined in stage 2, is now paired with the Ghostbuster's logo and the I WANT YOU headline with the Illustrator program. And shazam ...a new print design is created! Like my other character designs, this one will be available at my convention appearances and soon on the BobTheArtist website. 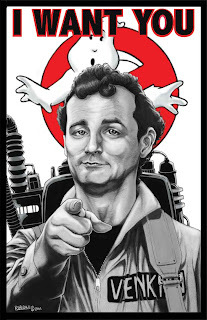 Here is the second step in my creating a Ghostbuster's inspired print/poster. 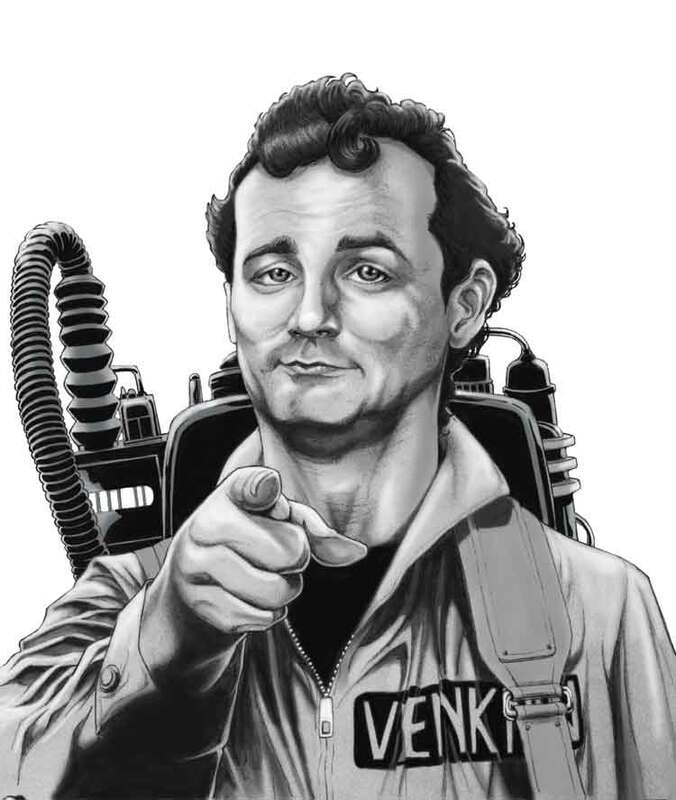 I've taken the base pencil illustrations (did in part one) scanned it into my PC and refined it in photshop. Here, I'll add to the contrast, deepen the blacks and add highlights. Next: Designing the finished look of the print. I received such good feedback on my showing the steps here to creating my Superman/Doomsday print, I decided to do it again. After 3 con appearances in May, (Nola Con, Dallas Comic Con and Comicpalooza) it became clear to me that there is still a tremendous amount of interest in all things related to Ghostbusters out there! I do believe at all three events there were fan tables set up there for groups that support and revel in Ghostbuster memorabilia, cosplay and collecting. So I figured who best to support that interest but the leader of the Ghostbusters, Bill Murray?! 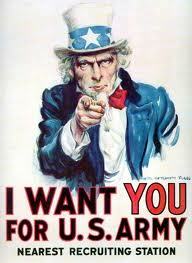 I utilized the icon Murray image from his movie Stripes (which is basically used in the classic "I Want You" for the US Army recruiting poster...seen below) and made it more in step with his look in Ghosterbusters. 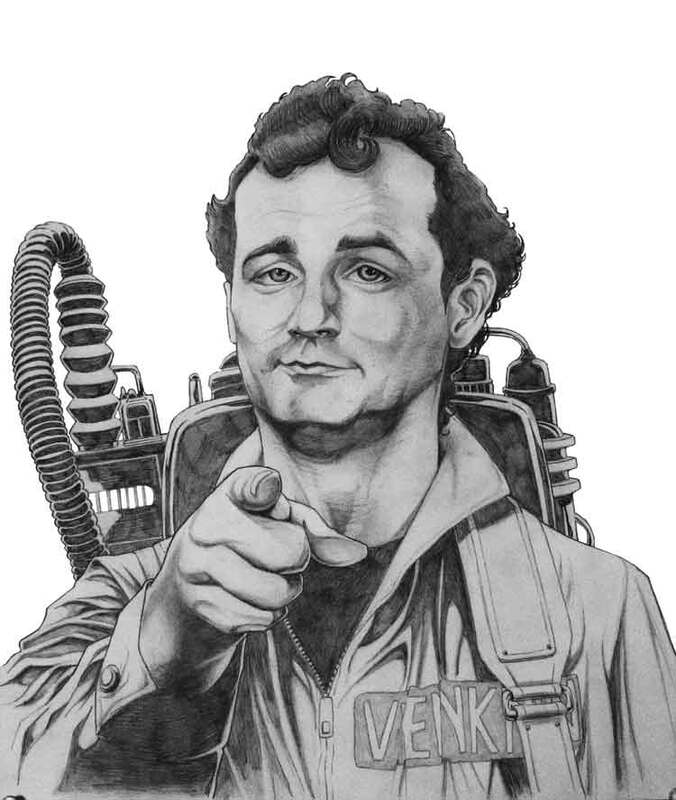 Rendered in pencil by Robert Luedke. Next up: Stage Two, where I take this into photoshop for enhancement.